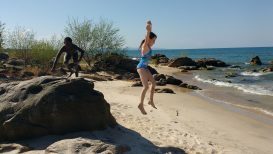 Malawi and Tanzania | June 2016 | We decided to spend the first month of our summer traveling in Tanzania and Malawi. 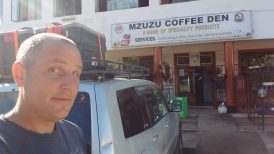 We logged 6000kms, driving through central Tanzania and then most of Malawi and then returning to Kenya along Lake Tanganyika on the western side of Tanzania. 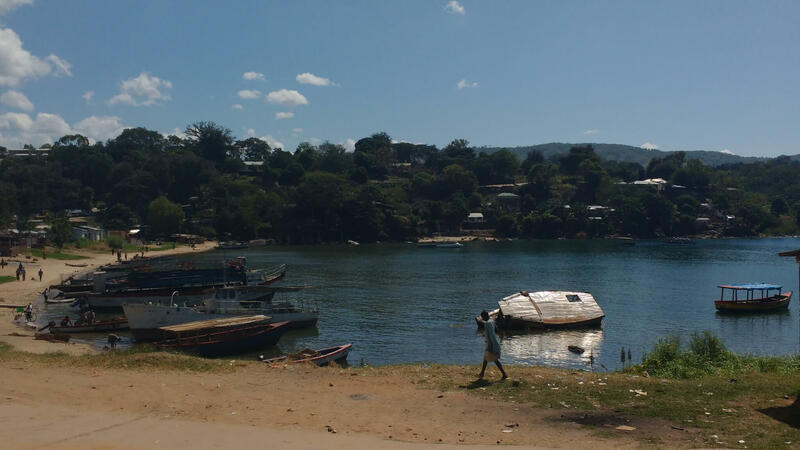 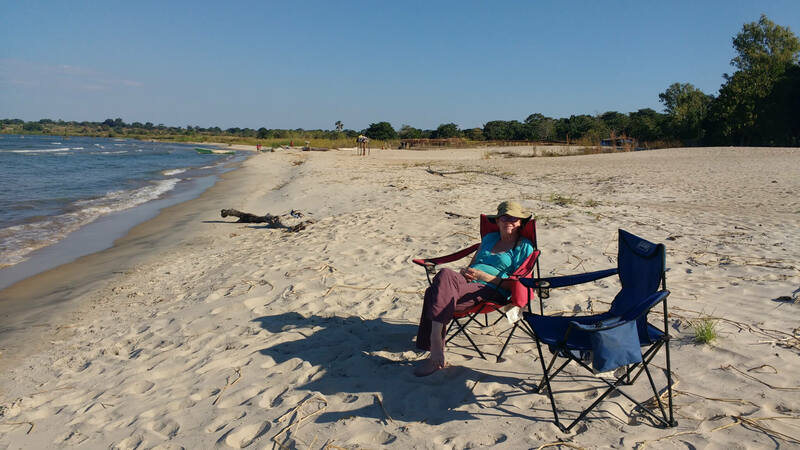 Both countries were very beautiful and we enjoyed camping in several of the parks and several places on the shore of Lake Malawi and Lake Tanganyika. 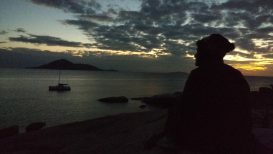 As usual, the trip inspired many ideas about where we would like to drive during future vacations. Click on a picture below to open up a slide show. 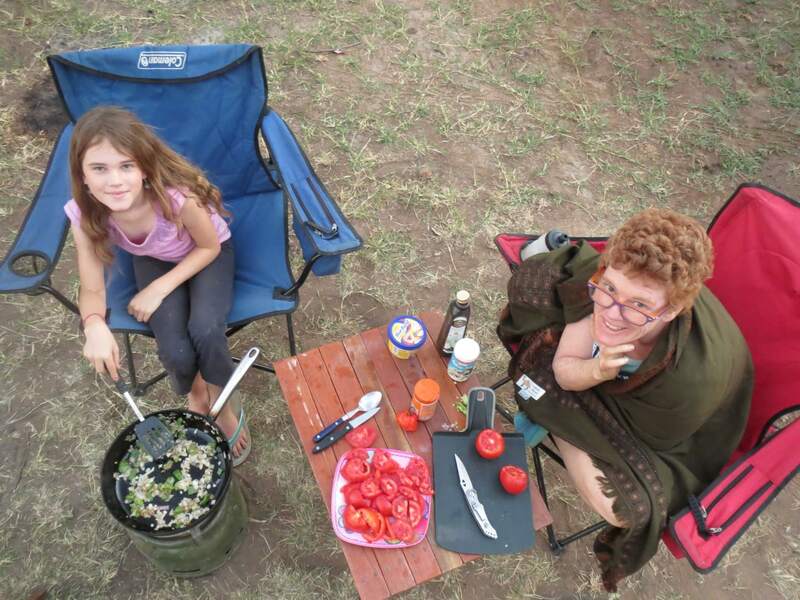 Cooking up a yummy pasta dish with the few ingredients we could find in the small town outside Katavi National Park. 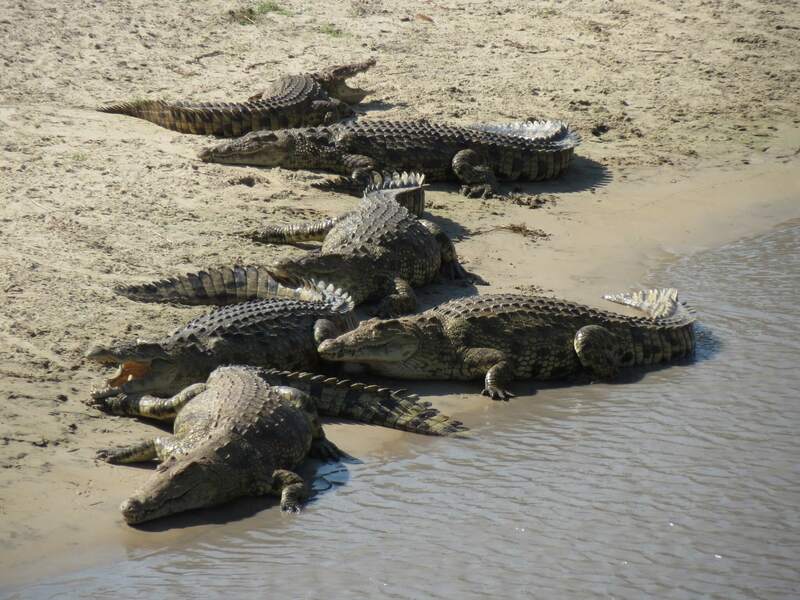 Lots of crocs in Katavi! 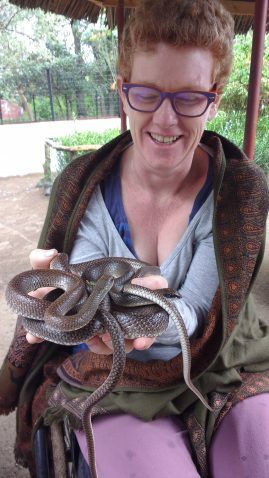 The snake park outside of Arusha. 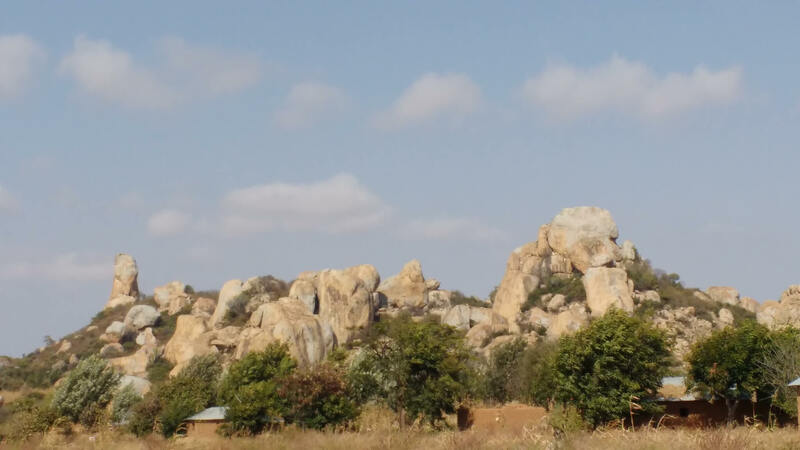 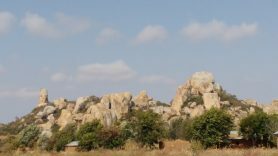 Lots of beautiful granite in central Tanzania. 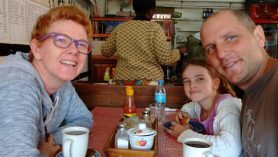 A great breakfast diner in Iringa, Tanzania. 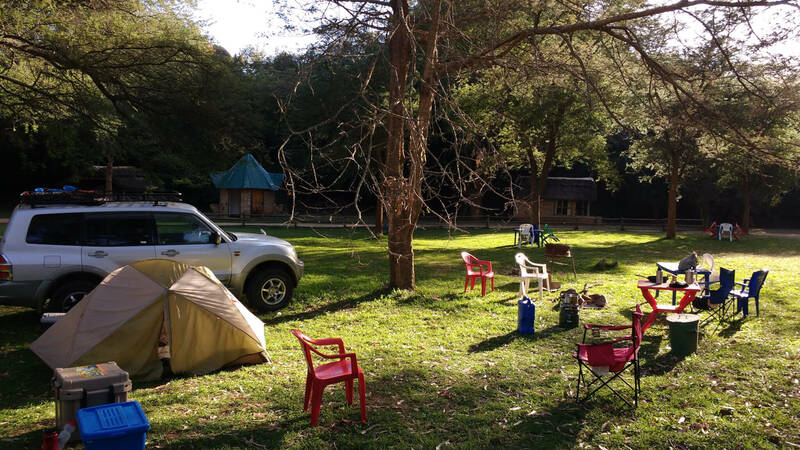 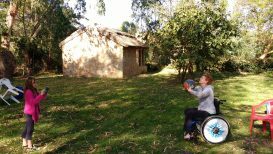 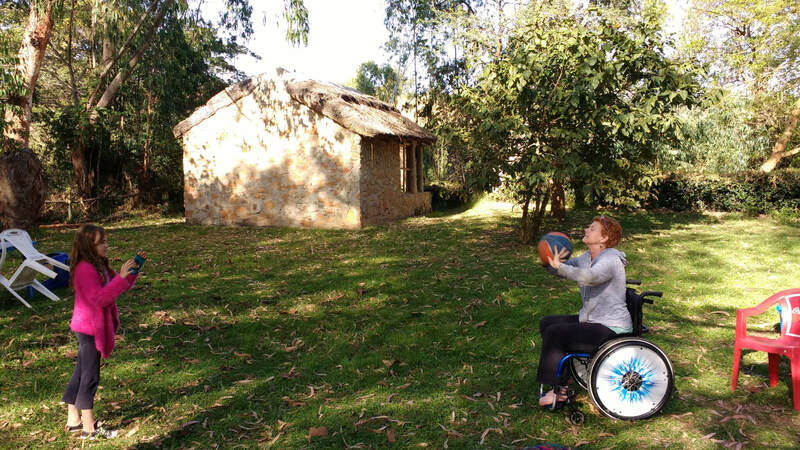 The Riverside campsite in Iringa- we’d like to return there to take the onsite Swahili lessons. 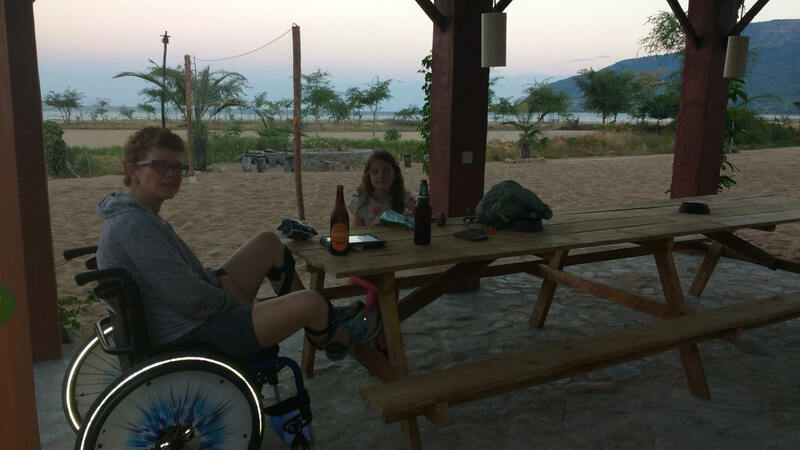 Zoe helping Robyn with her daily physical therapy. The windy, steep and scary road up to Livingstonia, Malawi. 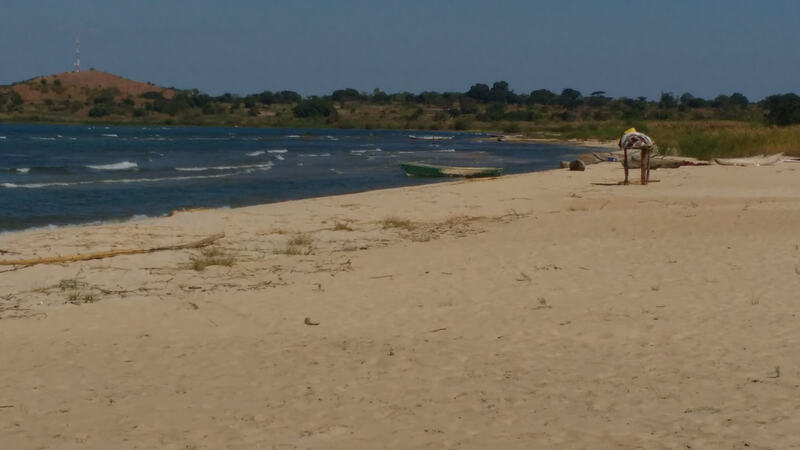 On the beach in Malawi. 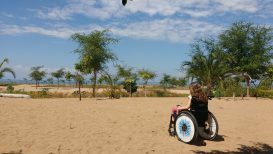 For some reason, Zoë loves playing in Robyn’s wheelchair. 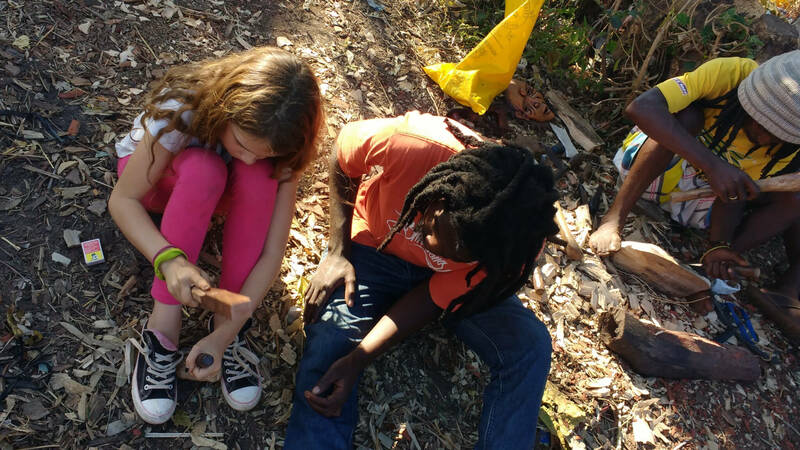 Robyn and Zoë spend several hours with some of the carpenters outside one of the campgrounds in Malawi. Robyn asked one of the guys, “Is your real name homeboy?” I thought this was a very naive question! 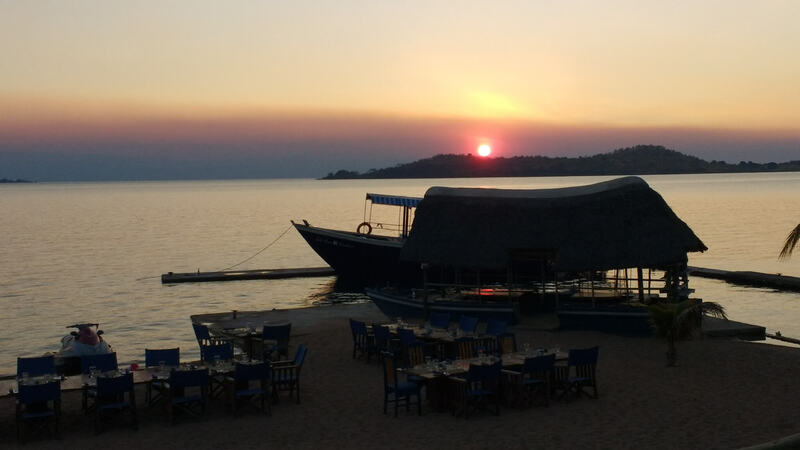 A SCUBA diving resort on Lake Malawi in Nkhata Bay. 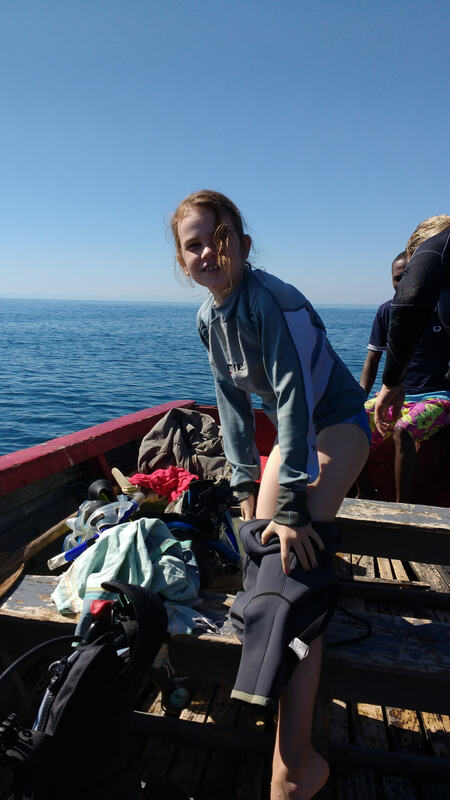 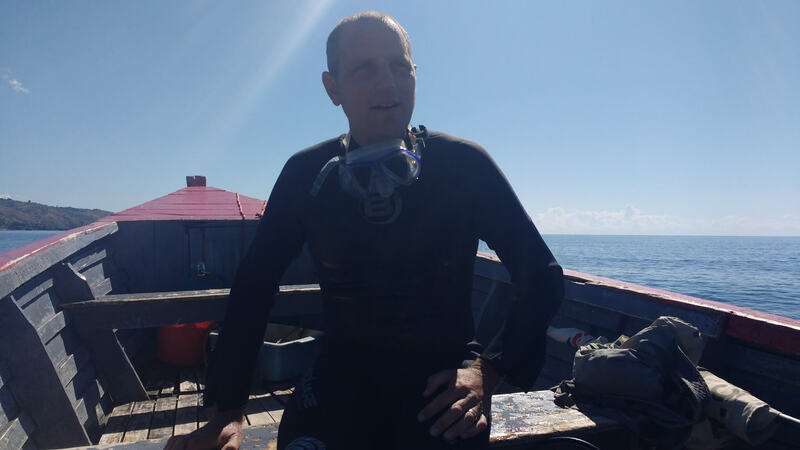 Diving in Lake Malawi. It was novel (to me) to dive in fresh water. 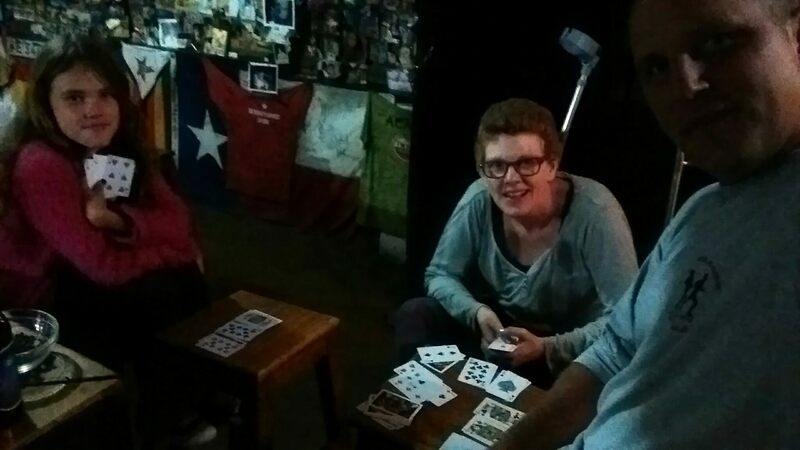 We played lots of cards! 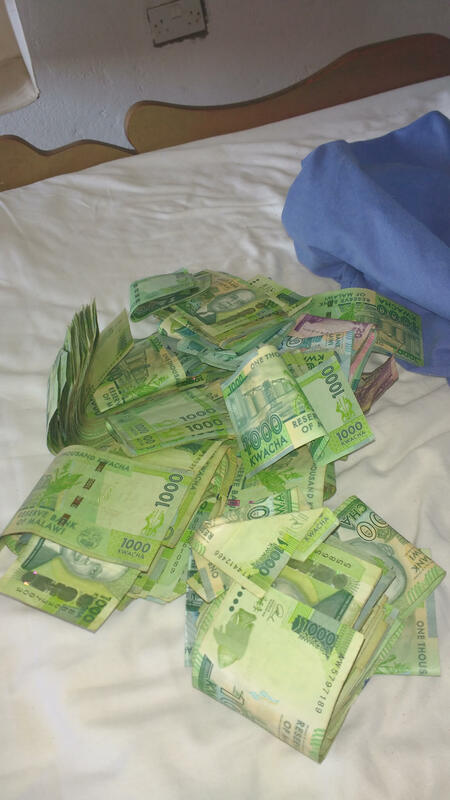 It was hard to have enough money in Malawi as the biggest bill is worth less than $1.50. and the ATM machines only give you about $70 in a transaction. My math colleague, Fiona, is married to a Malawian man and has undeveloped property on Lake Malawi, so we camped on her land. The land is beautiful! 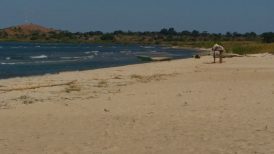 The beach on Fiona’s property. 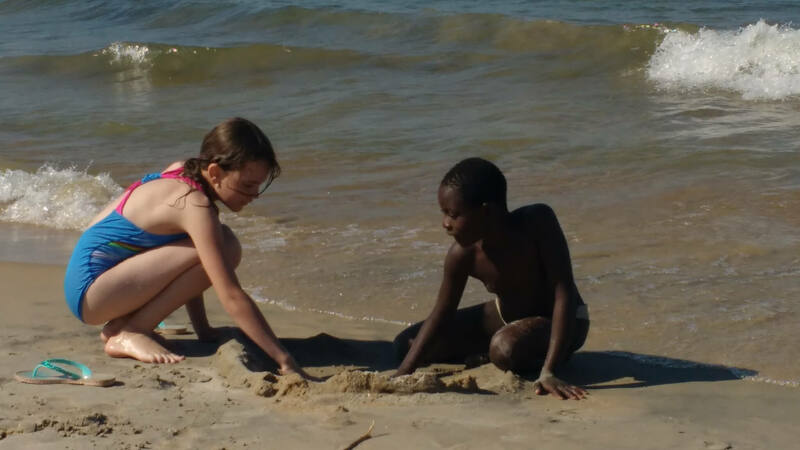 Zoe made friends with the local kids. 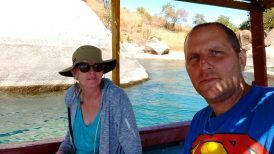 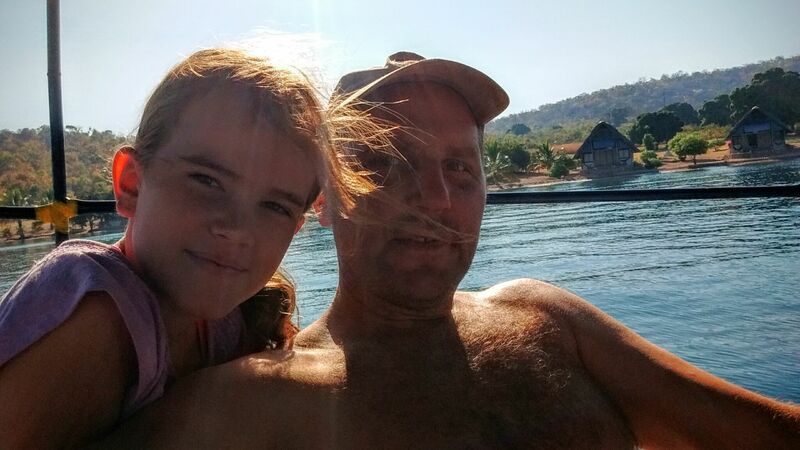 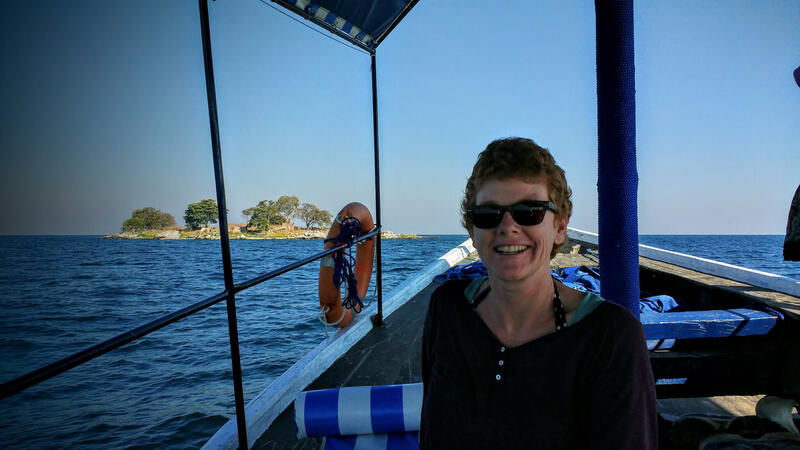 A boat ride and snorkeling near Cape Maclear. 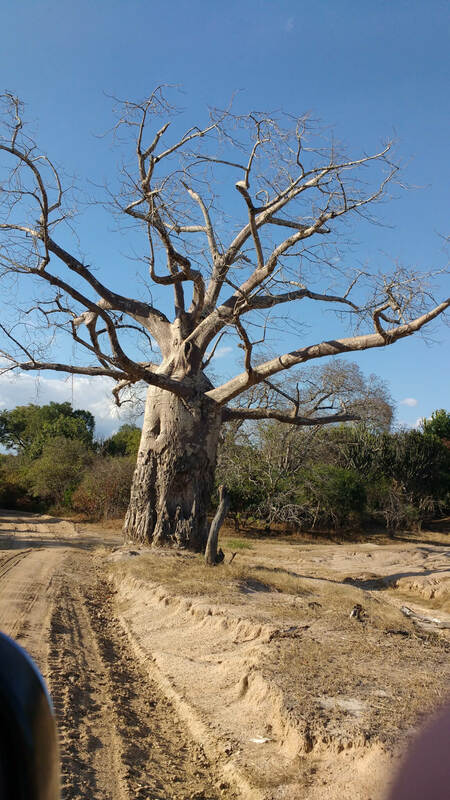 Beautiful baobab tress in many places in Tanzania. 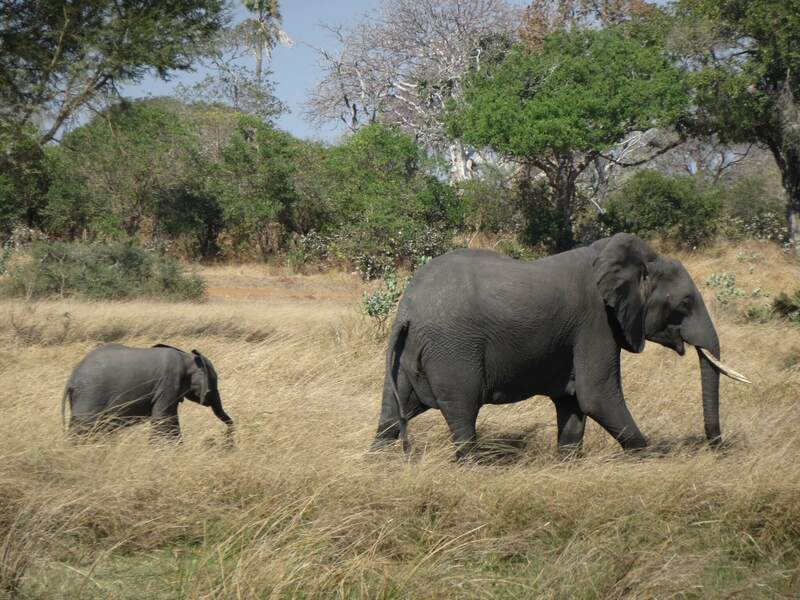 Near our campsite on the rvier in Liwonde National Park (Malawi). 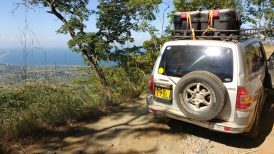 We drove 6000kms, often on harsh roads, but had few problems. Here we got a bushing changed in Liilongwe. 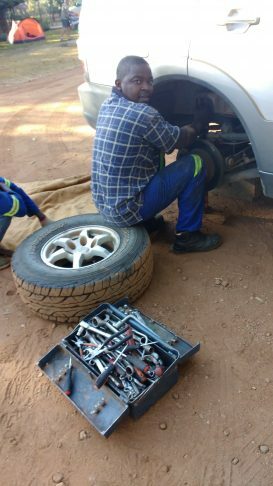 Later we also got a flat that we were able to repair without taking off the tire. 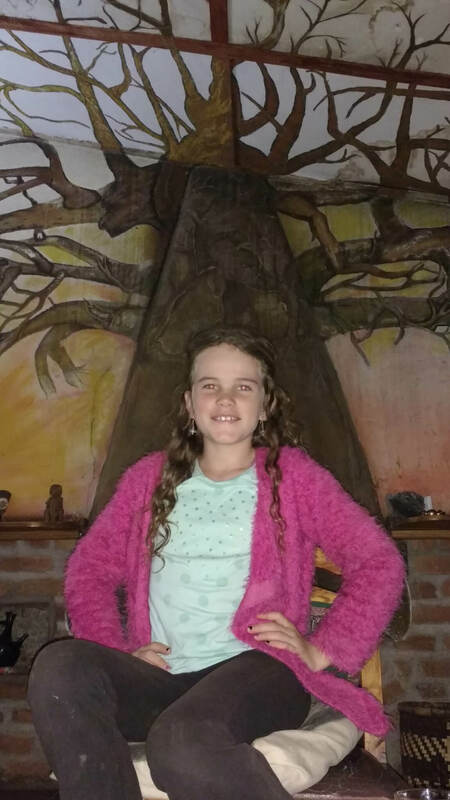 Zoë in front of the fire place at a forest lodge. Zoë’s pick up to go horse. 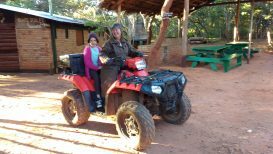 riding. 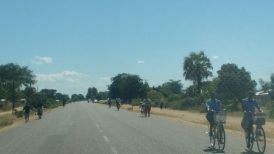 We saw very few cars in Malawi – the main highway was mostly used by walkers and bicycles. A boat ride to go snorkeling in Lake Tanginika. 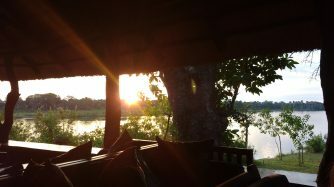 Sunset from the Lake Shore Lodge, where we camped. 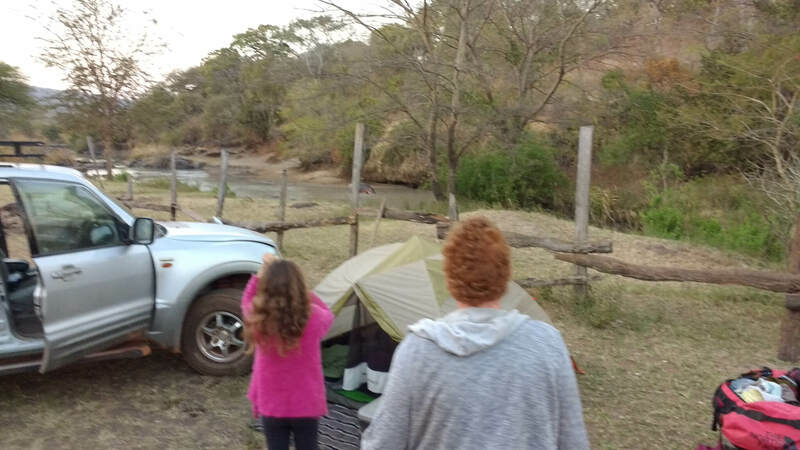 We were a bit alarmed at the fighting hippos just below our campsite just outside of Katavi National Park. 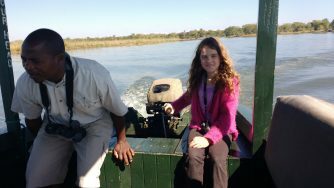 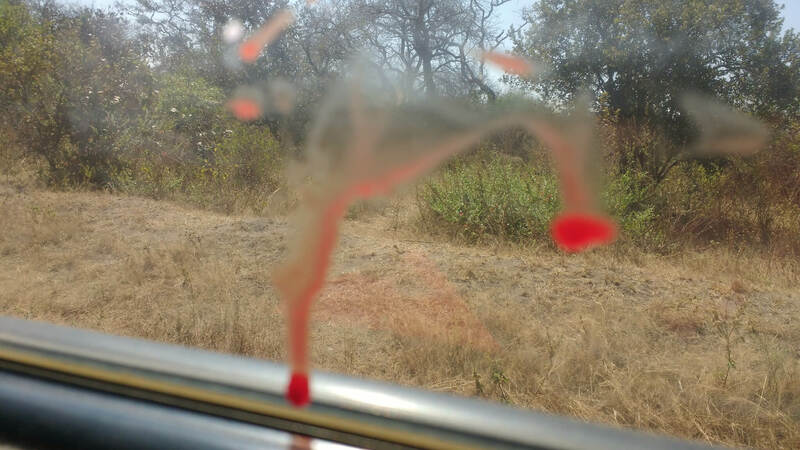 Katavi National Park had a billion tsetse flies – when we killed this one we squashed out a lot of blood!